In severe weather, the traditional three-frame difference method is prone to “hole” phenomenon in the moving object detection of the monitor video. In order to solve this problem, a novel moving object detection algorithm (MOD-DT) is proposed, which is combining dark color prior and oriented filtering. MOD-DT first detects the foggy image of the Monitor video, then de-haze the foggy image by dark primary color, and finally detects the moving object in the Monitor video image by the three-frame difference algorithm. Thus, MOD-DT can reduce the impact of the severe weather on the moving object detection. 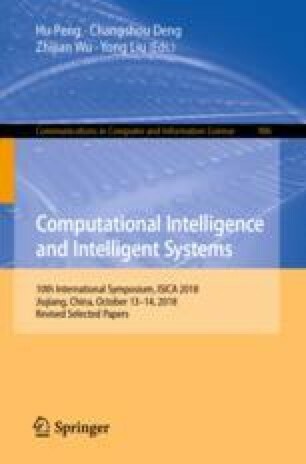 The experimental results show that this algorithm is superior to the traditional moving object detection algorithm in terms of integrity and accuracy, and can realize fast moving object extraction in the complex background environment. This research was supported by the National Natural Science Foundation of China (Nos. 61672024, 61170305 and 60873114), and National Key R&D Program of China (No. 2018YFB0904200), and the Key Research Program in Higher Education of Henan (No. 17A520046), and the Research on Application Foundation and Advanced Technology Program of Nanyang (No. JCQY2018012), and the Research on Education and Teaching Reform Program of NYIST (Nos. NIT2017JY-001 and NIT2017JY-032).